Each year, Son of a Saint selects a group of boys ages 10-13 to join the existing kids in our program. The boys must be fatherless due to their father's death or incarceration. Each boy remains an official Son of a Saint mentee until he is 18, but the connections remain, and we continue to advise and support him in the years that follow. Our goal is to graduate self-sufficient, independent thinkers who are leaders and give back to their community. What we provide, above all else, is an example. The boys who enter our program are often boys in crisis, and a crisis is not solved without a sound strategy. Son of a Saint employs a holistic approach, using a network of volunteers and partner agencies that enables us to address every boy’s every need. Son of a Saint employs a mental health specialist to provide evaluations and regular ongoing counseling for our boys. 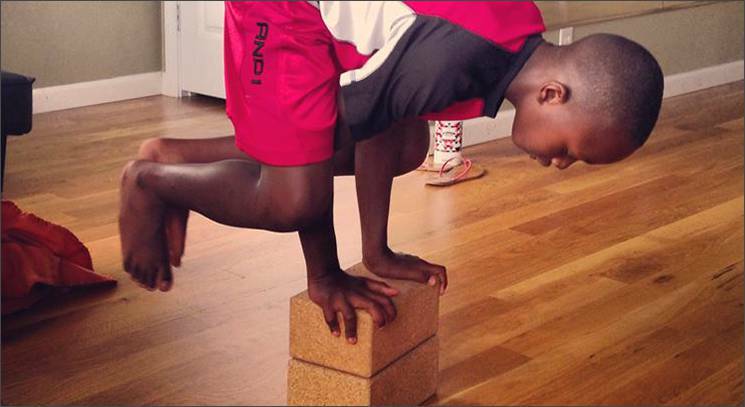 Son of a Saint mentees are exposed to horseback riding, fishing, yoga, music, chess, the arts and more. Every boy participates in at least one of these activities weekly. Mentors also support and encourage our boys in their extracurricular activities by attending games. Regular daylong mentorship sessions are designed to aid in our boys’ academic, personal and overall development. We host 20 group mentorship sessions per month, on average, covering topics such as etiquette, time management, decision-making, critical thinking, anger management, moral reasoning, life skills, work ethic, leadership, civic responsibility, teamwork and integrity. Kids and mentors also frequent outings, such as sporting events, educational trips, movies, dining, parades and volunteer activities. Half of our boys are also paired with a dedicated mentor to facilitate an ongoing, one-on-one mentoring relationship. When opportunities present themselves, we hit the road…or the skies. Son of a Saint has taken groups of boys to Washington DC, Asheville, NC, Houston, Atlanta, Los Angeles, New York, Detroit, Destin, FL, Montreal and Costa Rica. Africa is in our sights for 2019. Son of a Saint pairs boys in need of educational support with qualified tutors. These volunteer educators are all current New Orleans middle school or high school teachers, familiar with the boys’ coursework. Son of a Saint works to provide middle school and high school scholarships allowing Son of a Saint mentees and others to attend tuition-based schools in the New Orleans area. This is primarily done through Son of a Saint Scholars, which is our Student Tuition Organization selected by the Louisiana Department of Education to help facilitate the state’s Tuition Donation Credit Program. Because there is a need that cannot be ignored. Life for boys who lose their fathers is an uphill battle involving challenges related to self-confidence, anger and feelings of abandonment. Left unaddressed, these challenges too often manifest in unhealthy behaviors during the early teenage years through young adulthood. Son of a Saint is a necessary intervention at a delicate time – a wellspring of positive influence when it’s needed most by the boys who need it most. Young mentees forge relationships with volunteer mentors, counselors and tutors that develop over a long period, providing consistent support, guidance and encouragement. And while this is a relatively young organization – the first boys who entered the program are still in the program – we look forward to the days when Son of a Saint graduates return as men to volunteer, to mentor or simply to exemplify what life can be. 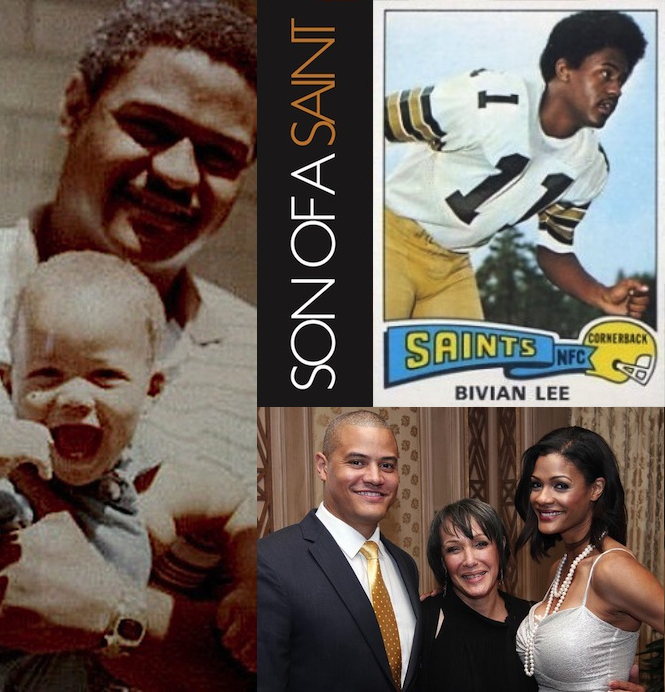 Bivian Lee, Jr., was an NFL defensive back for the New Orleans Saints from 1971 to 1975. Tragically, in 1984 Bivian died at the young age of 36 after suffering a heart attack. He left behind a wife, a five-year-old daughter, Tamica, and a three-year-old son, Bivian “Sonny” Lee, III. As an adult, Sonny came to understand the struggles and challenges his mother faced, and he gained a real appreciation for the opportunities he had as a child — opportunities the average boy would not be afforded. From access to psychiatrists who helped him navigate through anger issues associated with the loss of his father, to the ability to participate in sports leagues and enjoy relationships with teammates and coaches, Sonny was convinced that the array of opportunities made him who he is today. In turn, Sonny, then 29, founded Son of a Saint on January 1, 2011, in honor of his late father and single mother. He aims to “pay it forward” and replicate his own experience for a special group of fatherless young males in the community. Sonny often speaks to companies and organizations on topics such as mentorship, community service and the importance of education. Send an inquiry to request information on booking Sonny for speaking engagements and other appearances.